How many stars do you give Prep+prime Face Protect SPF 50 by MAC? 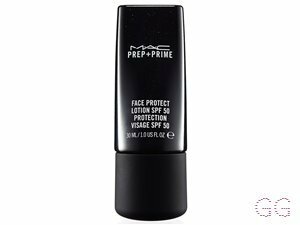 MAC Prep+prime Face Protect SPF 50 is available to buy at MAC, lookfantastic, and Debenhams. A skin-protecting cream with SPF 50. Applies under makeup to prime the skin for the sun. Featherweight, fast-absorbing, oil-free, invisible. I am in my late teens/early 20's with normal, brown tone skin and blue eyes. My hair is medium brown, dry with normal texture. the product is quite expensive and you can get others that are more affordable and work the same this is why i wouldn't buy it again, however if it's within your budget or you can get your hands on a tester you definitely should, its an amazing product and feels good on the skin. On the other hand a little does not go a long way with this product. I am in my late teens/early 20's with normal, light tone skin and brown eyes. My hair is red, oily with normal texture. I am in my late teens/early 20's with normal, light tone skin and hazel eyes. My hair is light brown, processed with normal texture. 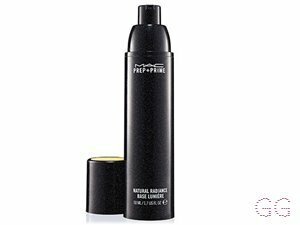 Love this product I've never actually bought a full size one I have loads of little samples of it from Mac but as soon they run out I will deffo purchase it. It really moisturises your skin I use it with lots of different foundations and which ever I use it just glides on nicely over this. It leaves u with flawless skin. I am in my late 20's/early 30's with combination, light tone skin and hazel eyes. My hair is medium brown, combination with normal texture. Swear by this product!! 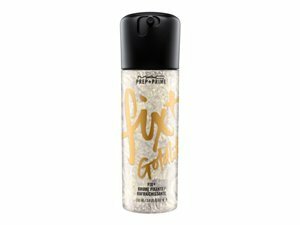 Loved it ever since I tried it, I got it in a sample from Mac and as soon as you put it on it leaves your skin silky and smooth which lets your make up glide on and great for blending! I am in my late teens/early 20's with sensitive, fair tone skin and blue eyes. My hair is dark brown, dry with normal texture. I am in my late teens/early 20's with acne/problem, light tone skin and blue eyes. My hair is blonde, normal with fine texture. 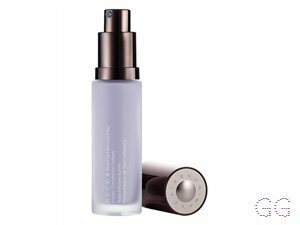 I use this product daily alongside my Giorgio Armani Luminous Silk Foundation, they're a perfect match together. Very moisturising, which is great as I have very dry skin. A little goes a long way, so it's definitely worth the £24. It's the only primer that has ever worked for me! I am in my late teens/early 20's with dry, tanned tone skin and brown eyes. My hair is medium brown, combination with normal texture. 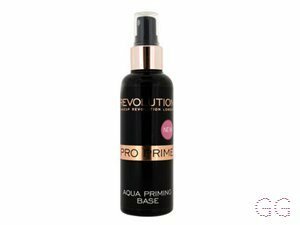 This product acts not just as a primer but as A moisturiser too. 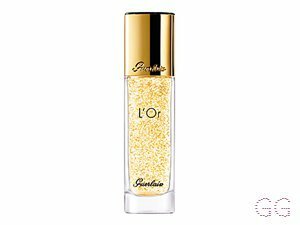 It sinks into the skin lovely and one tiny amount is enough to cover the whole face. It gives you the confidence in knowing, that once applied, your makeup will last the entirety of the day. This is my favourite primer especially because it gives such a smooth, glowing effect to your complexion. This would be suitable to everybody. I am in my late teens/early 20's with normal, light tone skin and green eyes. My hair is blonde, processed with normal texture. Yes its a good product, but I feel that there are other products that are better and cheaper than this. It does the job but I don't think its anything special.  I am in my late 20's/early 30's with normal, medium tone skin and brown eyes. My hair is dark brown, asian with fine texture. I am in my late 20's/early 30's with dry, light tone skin and blue eyes. My hair is medium brown, dry with normal texture. I started using this when I was around 13, even though I never wore any makeup at that point, I found it to be a suitable substitution for moisturiser. And I still love it to this day! It leaves my skin feeling fresh and smooth. Love it! I am in my late teens/early 20's with normal, light tone skin and blue eyes. My hair is light brown, normal with normal texture. This primer is so amazing i love it would buy it again have ran out and it works so well completely deserves 5 stars and makes my skin look beautiful and soft. I am in my late teens with normal, fair tone skin and blue eyes. My hair is blonde, normal with normal texture. This primer is great! you only need a little and it lasts all day! Like it promises. Its great for when your on a day trip and definatly doesnt leave you with a sticky finished face. I am in my late teens/early 20's with oily, medium tone skin and blue eyes. My hair is black, normal with normal texture. I am in my late teens/early 20's with oily, light tone skin and blue eyes. My hair is light brown, combination with normal texture. Primer is great! Its good as well because you don't need a lot as it spreads easily and does not all come out at once. My make up stays on for a long time with this and keeps my skin moisturised! I am in my late teens/early 20's with combination, light tone skin and blue eyes. My hair is blonde, oily with normal texture. I am in my late 20's/early 30's with combination, light tone skin and blue eyes. My hair is dark brown, combination with normal texture. I am in my mid 20's with combination, olive tone skin and brown eyes. My hair is dark brown, normal with normal texture. 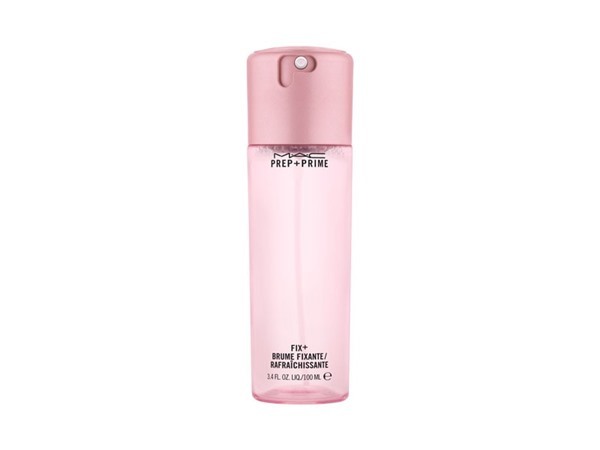 I love this product because it promises that your make-up will stay on all day with it. The application is nice but as its SPF 50 it does go all sticky and hard to absorb. I am in my late teens/early 20's with combination, light tone skin and green eyes. My hair is light brown, normal with normal texture.